Raheem Sterling starred for England as the Three Lions ran out 5-0 winners in their opening Euro 2020 qualifier against a poor Czech Republic side. Jordan Henderson featured for Gareth Southgate’s side – the Liverpool captain played in midfield alongside Spurs’ Eric Dier. However, Dier didn’t last very long as he was taken off in the 16th minute; not dissimilar to Henderson’s early bath when Liverpool travelled to Germany to face Bayern Munich. Spurs fans weren’t happy with their versatile midfielder picking up an injury with the Londoners travelling to Anfield after the international break. Southgate has provided an update. “I think [Dier] will go back to his club. Hopefully not to serious, bit of a muscular injury but he won’t be right for our second game,” he told Sky Sports News. This news will come as a blow to Mauricio Pochettino as the manager hasn’t been able to rely on Dier’s fitness since the turn of the year. 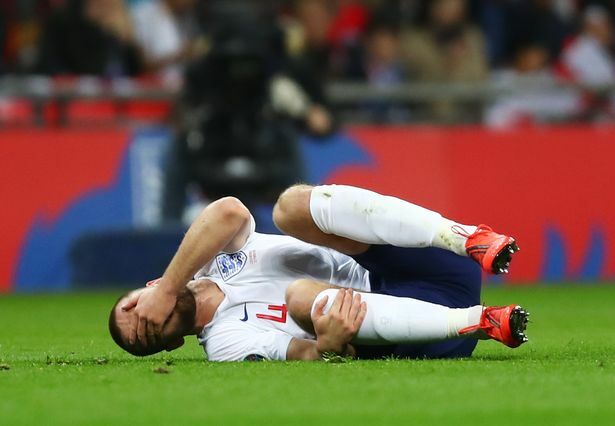 It was previously believed Henderson would not be fit enough to feature for England as our captain was ruled out of our game against Fulham last week. With the skipper being fit enough to be selected for England it’ll give Jurgen Klopp more options against Spurs, as the Reds look to maintain their fight for the title.